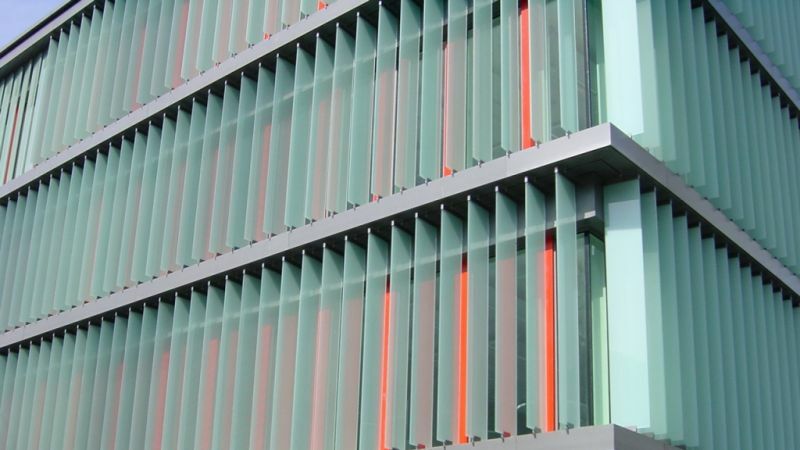 A wide range of louvres – Shadoglass louvres are available in various colours, surface finishes and coatings to meet specific design requirements. Depending on the chosen type of glass, frit or film, the desired transmission of light and/or heat radiation can be accurately achieved for every specific application. The louvre spans depends on structural considerations and the kind of louvre blade selected. Click the options tab above to find out more. 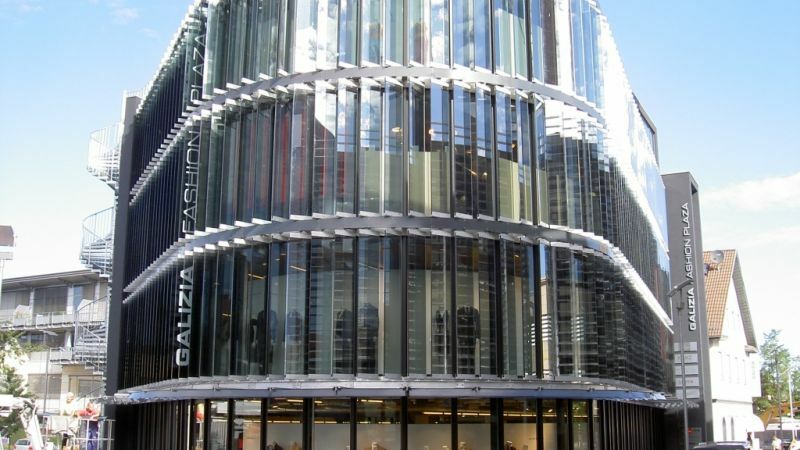 Robust - Shadoglass is made from high grade aluminium and stainless steel. The system is designed to compensate for thermal expansion. Potential to reduce installation time – Shadoglass can be provided in modular pre-assembled form. 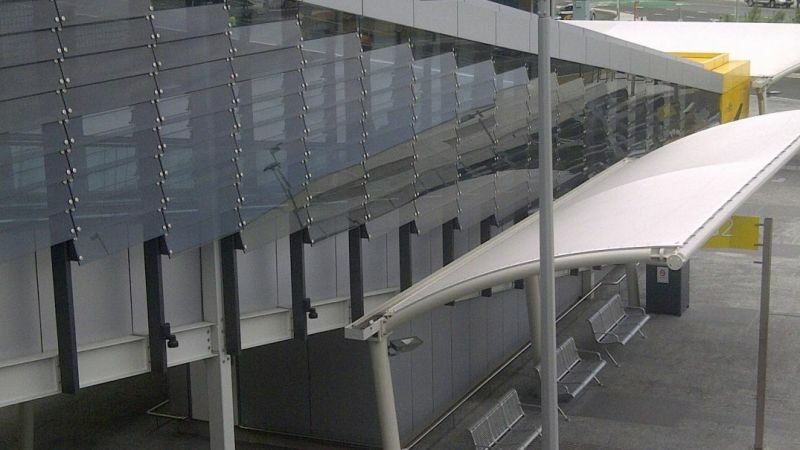 Shadoglass LS-1 is centrally pivoted, intended for wide spans, and incorporates a central aluminium torsion tube incorporating the louvre brackets along the length of the louvre for additional support. Shadoglass LS-2 is primarily intended for small spans or where frequent anchor points are available. It provides minimum obstruction to the glass area, thereby maximizing daylight and enhancing the view to the outside. Shadoglass LS-3 is centrally pivoted, intended for very wide spans. An aluminium clamping system is fixed along to the short edges of the louvre blades. Shadoglass LS-4 is a back hinged system with hidden control mechanisms integrated within the main vertical supports. This enables a seamless continuous appearance when viewed from the outside, since the supports are installed to the back of the louvres. Shadoglass LS-5 is a centre pivoted system which provides maximum transparency. An aluminium clamping system is fixed along to the short edges of the louvre blades. Colt ICS 4-Link or Soltronic are the standard controls for Shadoglass. These provide accurate control of the louvre blades, continually calculating the position of the sun and together with internal temperature and lighting sensors controlling the position of the louvres. On dull days, light sensors can operate to fully open the louvres to allow the occupants full vision to the outside at all times. Remote operation is also available via an internal modem interface. Please contact us for more information relating to the application, specification, installation or servicing of Shadoglass. 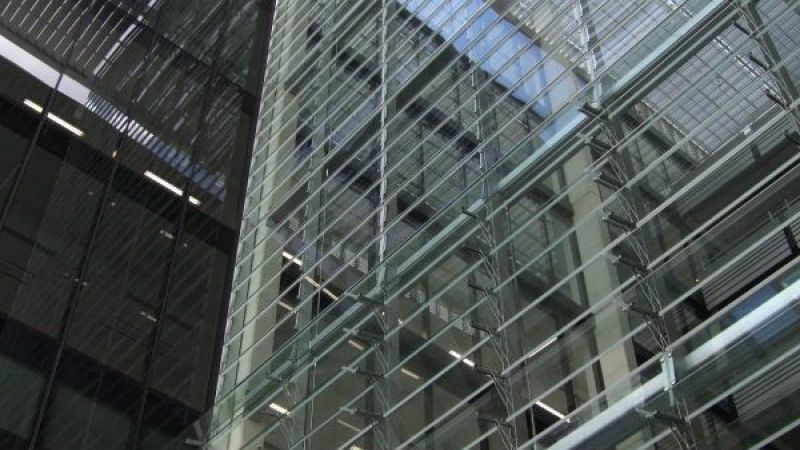 Colt Shadoglass is an external fixed or moveable glass louvred solar shading system, designed to reduce heat gains and glare whilst maximising the use of natural daylight. LS-1 is centrally pivoted, intended for wide spans, and incorporates a central aluminium torsion tube incorporating the louvre brackets along the length of the louvre for additional support. LS-2 is primarily intended for small spans or where frequent anchor points are available. It provides minimum obstruction to the glass area, thereby maximizing daylight and enhancing the view to the outside. LS-3 is centrally pivoted, intended for very wide spans. An aluminium clamping system is fixed along to the short edges of the louvre blades. LS-4 is a back hinged system with hidden control mechanisms integrated within the main vertical supports. This enables a seamless continuous appearance when viewed from the outside, since the supports are installed to the back of the louvres. LS-5 is a centre pivoted system which provides maximum transparency. An aluminium clamping system is fixed along to the short edges of the louvre blades. All spans subject to wind load calculations. Deflection of the louvre is limited to span / 100. Deflection of supporting structure is limited to span / 100. Glass louvre width: 350–500 mm. Glass louvre length: max. 2500 mm. Glass louvre width: 350–550 mm. Glass louvre length: max. 3300 mm. Glass louvre width: 420–600 mm. Glass louvre length: max. 3000 mm. Glass louvre width (maximum): 550 mm. Vertical supports at 2000 mm maximum centres. Blade length: For glass, maximum 4000 mm long without any additional supporting structure. Blade width: For glass, maximum 600 mm. Blade span: For glass, up to 1800 mm long without any additional supporting structure. Maximum overall glass length 3600mm (if supported). Blade width: For glass, minimum 350mm, maximum 550mm. Blade thickness: For glass, minimum 12mm, maximum 24mm. Blade span: For glass, up to 1800 mm long can be achieved without any additional supporting structure. Blade width: For glass, up to 600 mm.